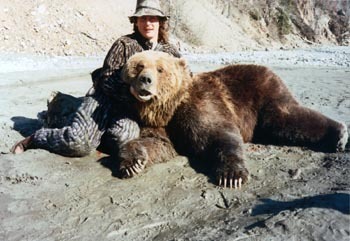 The colour of grizzlies ranges from near black to silver-blonde. 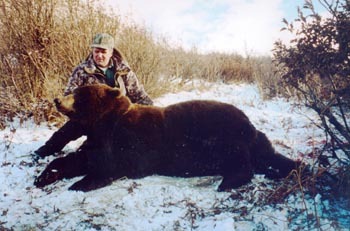 The typical bear shows darker colours on its legs and belly and lighter colours on its back. 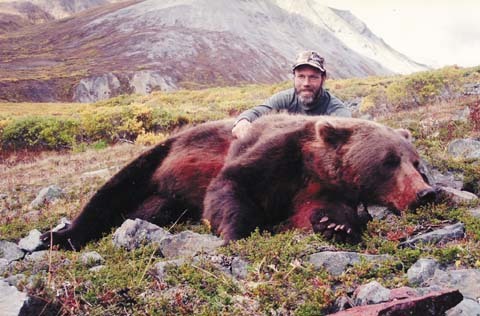 It is the lighter tips of the long guard hairs that give this bear its “grizzled” appearance. 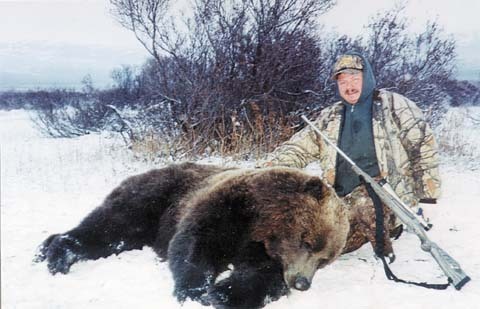 The denning period varies among different populations of grizzlies, depending on the regional climate. 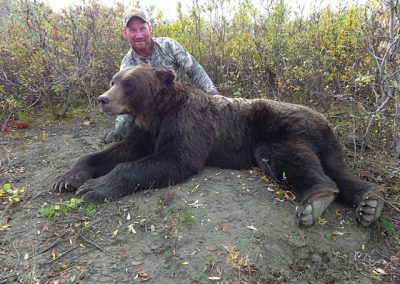 British Columbia Grizzly Bears spend six to seven months — October through April — in their winter den. 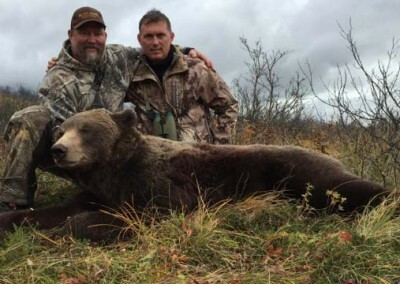 Yellowstone grizzlies spend only five months in the den. 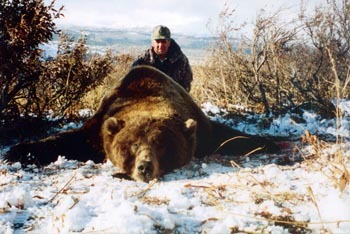 An important characteristic of northern grizzlies is their low rate of reproduction. 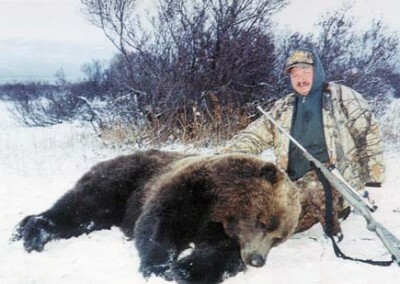 Bears begin to breed later in life than other bears and reproduce less often. 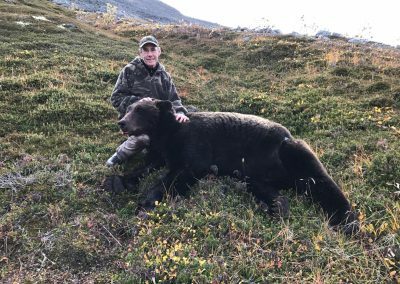 For example, female grizzlies in the Kluane area breed for the first time at seven years of age, and every three to four years afterwards. 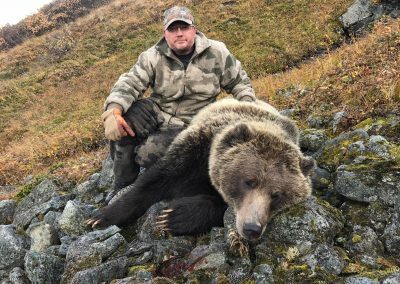 You’ll often hear the comment that grizzlies are unpredictable, but this is somewhat misleading. 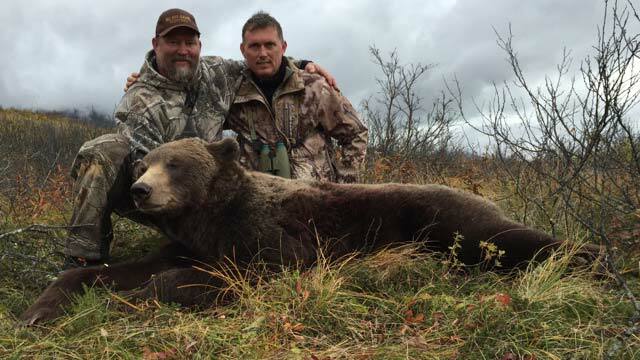 A more accurate statement is that grizzlies are highly adaptable. The life of this omnivore centers around an intensive search for the most nutrient-rich foods it can find. Individual bears learn successful methods of achieving this goal; methods that vary greatly between regions and, to some degree, between individuals. Generally, in a given region, all bears will focus on the same set of foods at the same time. But some individuals are able to exploit additional localized food sources. 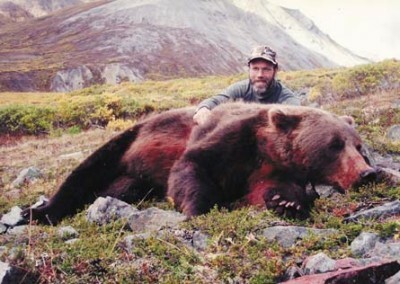 For example, in mid-May, virtually all grizzlies are eating roots and overwintered berries. 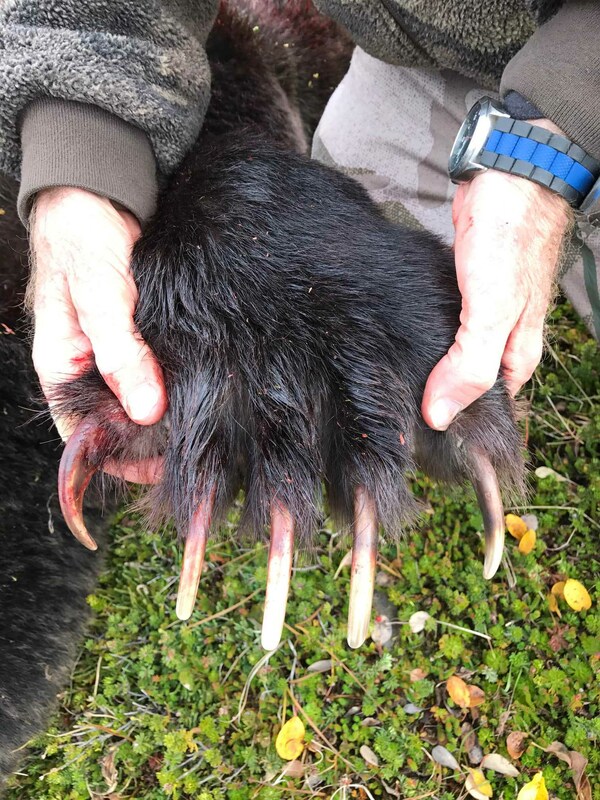 A little later in the season, bears that have learned to capture moose and caribou calves focus on this food source while others concentrate on newly emerged grasses, sedges, and horsetails. 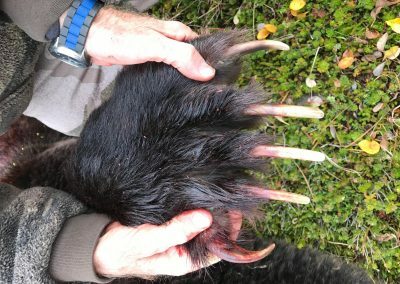 Every adult bear has learned a unique set of feeding sites based on its mother’s training and its own ramblings. Because of its much larger home range, a male is able to include unusual food resources like spawning salmon in its diet. 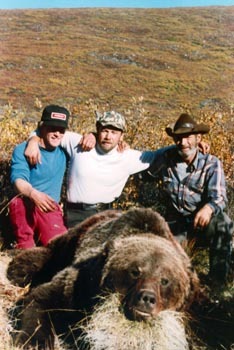 Finally, bears, like people, vary in their aggressiveness. At the top end of the aggression scale are females with young cubs. 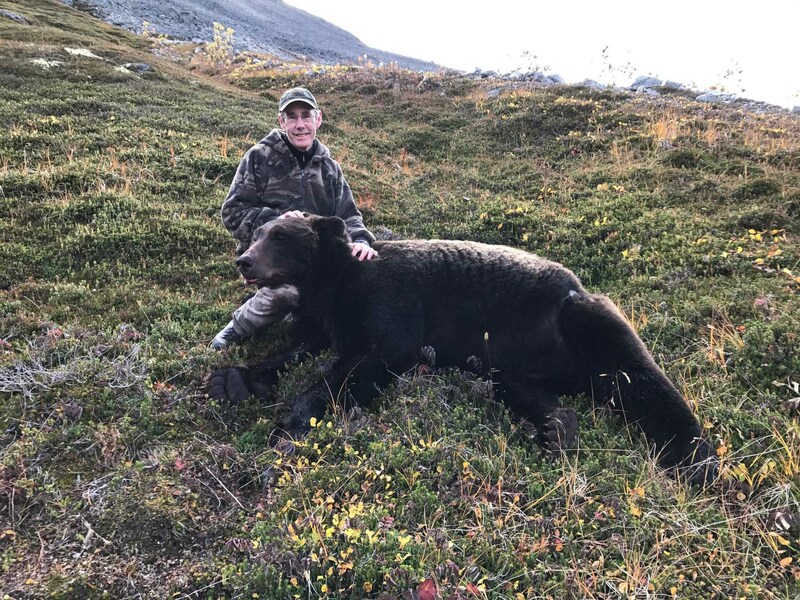 Grizzlies generally avoid conflict with humans however, and, if we manage our own food and garbage carefully, co-existence between our two species is not difficult. 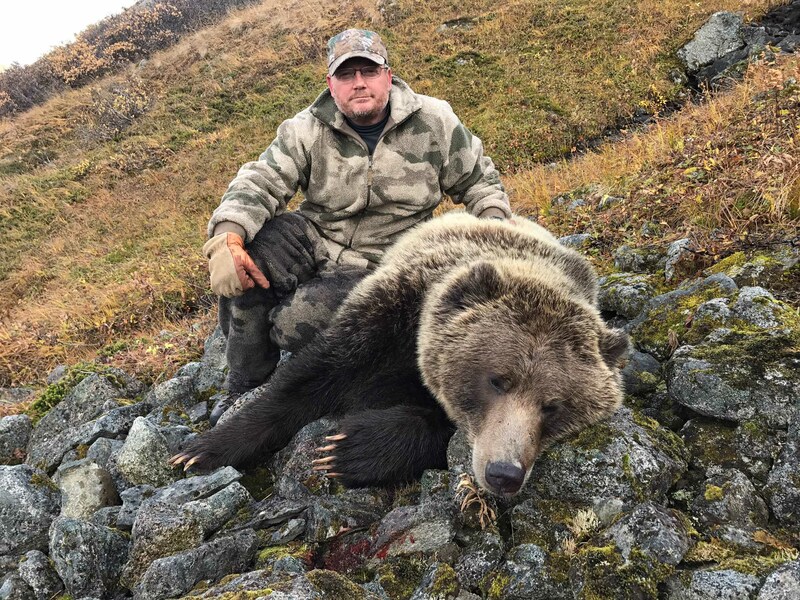 In its warm mountainside den, a grizzly escapes the blowing snow and -40 C temperatures of the northern winter. Its heart rate and breathing rate are lowered but its body temperature remains near normal. As a result, it can wake up quickly. 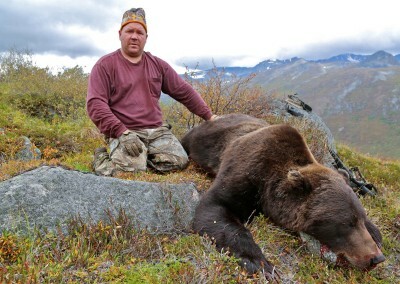 A thick layer of fat provides for the bear’s low energy needs during this period when it doesn’t eat or drink. The marvelous recycling of fluids and wastes that takes place inside a denning bear is the subject of intensive study by biochemists and physicians. In February, while in the den, a pregnant female will give birth to one, two, or occasionally three cubs. Less than half a kilogram in weight, the young begin to nurse immediately and will not leave the den for the first time until three months have passed. Spring is a season of rebirth for all life in the Northern British Columbia. Male grizzlies emerge from their winter dens in late March or early April. At treeline, the snow generally lies heavy at this time of year, but south facing slopes are usually bare. Here the bears might turn over the soil to get at the starchy roots of Eskimo potato. In the subalpine zone, grizzlies feed on overwintered cranberries and bearberries while searching for marmots and ground squirrels. 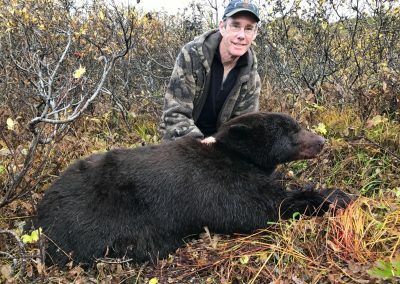 Except for females with newborn cubs, bears roam widely at this time of year, looking for winter-killed carrion, weakened animals, and newborn moose or caribou calves. At river level, the roots of Eskimo potato and horsetails are a primary food source in spring. 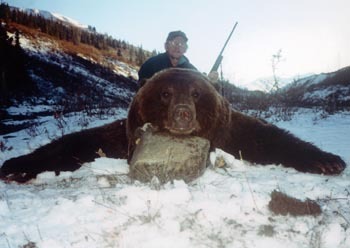 Most grizzlies breed during the month of June. A breeding pair will stay together for a week or two at most. Another social unit is formed by a sow and her cubs. 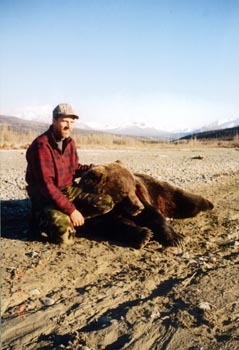 Females with newborn cubs remain in their dens about a month longer than other bears. This is done to give the cubs a better chance of survival. 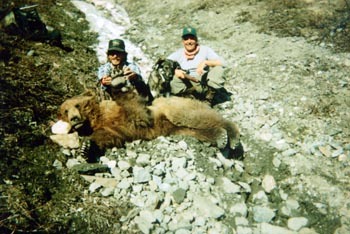 Even then, about 1/3 of all cubs die, usually as entire litters, before the end of the breeding season. The patterns of these losses are not well understood. 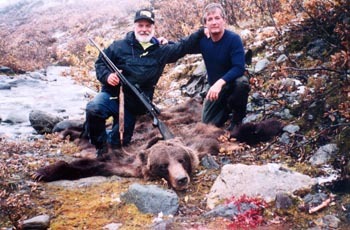 Other bears, particularly transient males may be an important factor as they are known to kill the young. The cubs stay with their mother for two or three years, denning with her each winter. The female will not breed again until the family has broken up. Siblings may also form a social unit after separating from their mother, and often den together the first winter on their own. 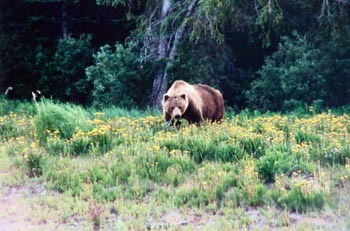 In mid-summer, grizzlies will often be found in alpine settings, feeding on new growths of grasses and horsetails. Many bears are attracted to the river flats in mid-July when soapberries ripen. These red berries are a staple food source until other berries ripen in August. To escape the mid-day heat of summer, grizzlies rest in shallow scrapes in the cool earth. These daybeds are roughly one meter in diameter and 25 centimeters deep. They are usually found near feeding areas; in shady spots near streams or meadows, and on cool snow patches and riverside sandbars. When berries ripen in August, a change takes place in the grizzly lifestyle. 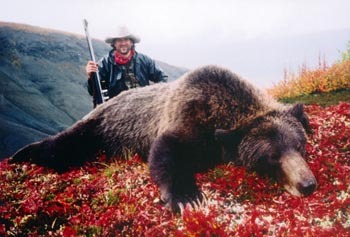 Propelled by a voracious appetite and an approaching winter, the bears gorge themselves on large quantities of berries. This is the only time of the year when bears actually put on weight: up to one kilogram per day. In other seasons they are either stable or losing weight. Fallen berries and the first frosts of the season signal the approach of winter. 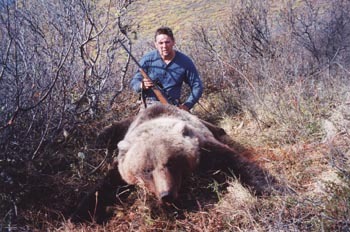 In October, bears begin to move towards the high country as the denning period approaches. 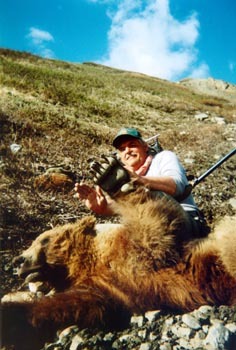 Grizzlies usually den on south facing slopes near treeline. 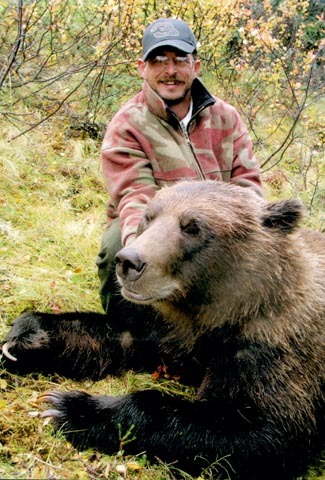 To create a denning cavity, a bear might move as much as a ton of earth out of the hillside. The dens are about one meter high and one and a half meters in diameter. They are connected by a one- to two-meter tunnel down and out to the “porch” made from the pile of removed earth. A clean mattress of grasses, moss, and twigs lines the den. What a sensible way to spend a winter!